An explosion has ripped through a tourist bus in Al-Haram area south of the Egyptian capital Cairo on Friday, and local reports have cited government officials to confirm at least two people were killed and up to a dozen injured. 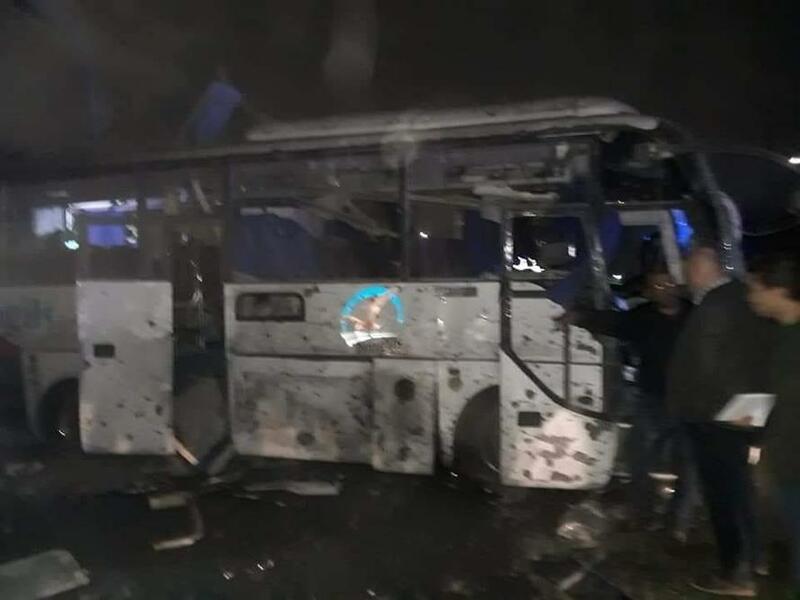 Egypt's interior ministry has called it an improvised bomb blast and confirmed in a Facebook statement that among the dead were the driver and a local travel agent, as the bus was on a trip to the ancient Giza pyramids in Cairo's suburbs. Early reports indicated the bus was carrying a group of Vietnamese tourists. Social media photos posted in the aftermath appear to show the attack site with the twisted and blackened wreckage of the bus. 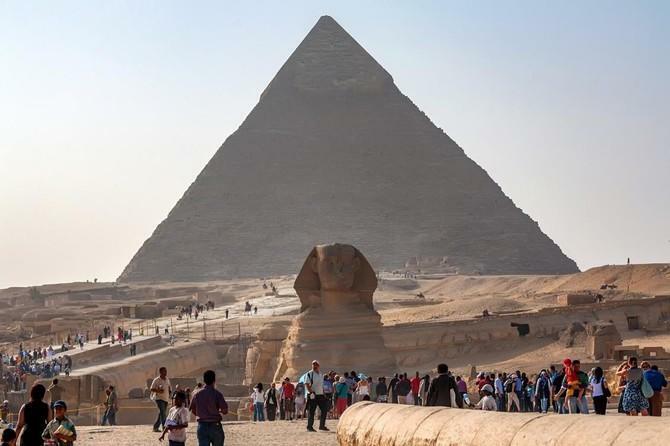 Egyptian security officials say a roadside bomb has hit a tourist bus in an area near the Giza Pyramids, killing at least two people and wounding 10 others. The officials said the bus was traveling Friday in the Marioutiyah area near the pyramids when the roadside bomb went off. There was no immediate word on the nationalities of the tourists onboard, but the officials said one of those killed was an Egyptian. The interior ministry further said a bomb hidden beside a wall went off at a moment the bus carrying a total 14 Vietnamese tourists was passing. In recent years Egypt has sought to clamp down on Islamic militants, especially those operating in the Sinai Peninsula, as not only have there been an uptick in attacks targeting the country's sizable Coptic Christian minority, but to protect Egypt's multi-billion dollar tourism industry. Tourism Revenues in Egypt increased to 7.60 USD Billion in 2017 from 3.80 USD Billion in 2016. Tourism Revenues in Egypt averaged 7.77 USD Billion from 2010 until 2017, reaching an all time high of 12.50 USD Billion in 2010 and a record low of 3.80 USD Billion in 2016. Friday's attack is the first to target foreign tourists in almost two years, but given that it was carried out near the pyramids of Giza — the most visible and protected ancient site in the country — it will be sure to send government officials scrambling to assure potential visitors that all is well and safe. Egyptian leaders have recently committed to making great strides to return tourism to levels before the so-called Arab Spring protests of 2011 brought general instability and the Muslim Brotherhood briefly into power, and after which mass counter-protests brought back the rule of the generals. And further with "safety" in Egypt suddenly under the microscope, especially for its vital but fragile tourism industry, it is possible that a "peacemaker" scramble could heat up the Suez Canal.